Wednesday April 18th it’s all things Russian at the French auction house Leclere and Putins pen is only one of many exciting objects. The wine coolers are decorated with fine rocailles as well as the monogram of Grand Duchess Olga Nikolayevna Romanova and the imperial Russian double eagle. 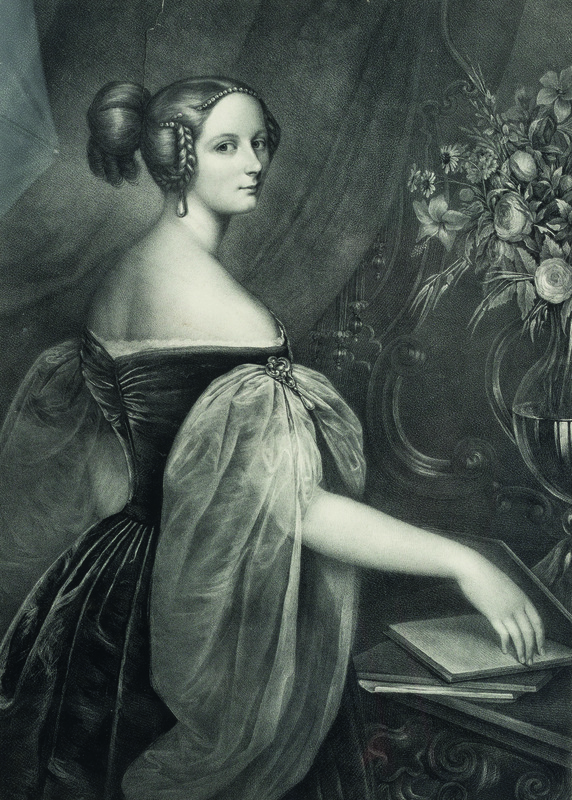 This proves that the coolers originally belonged to one of the daughters of Tsar Nikolaus I. Olga married german Crown Prince Wilhelm in 1846 and later became Queen of Würtenburg. 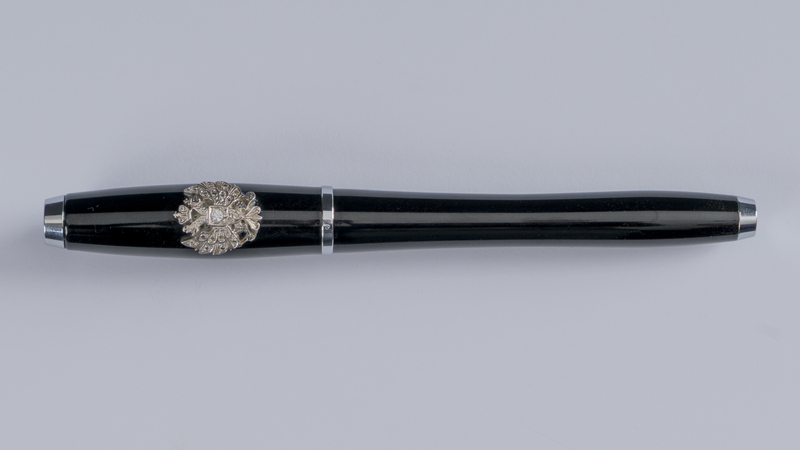 Another interesting object in Leclere’s Russian collection is a pen. The black pen is decorated, just like the wine coolers, with the imperial russian double eagle in silver as well as 20 fine Swarovski crystals. This noble writing device doesn’t come from a royal collection. It is the former pen of Russia’s current president Vladimir Putin. The authenticity of the object is confirmed a certificate issued by the president himself. A third object worth mentioning in Leclere’s auction is an oil painting by Moskow’s own Konstantin Fjodorowitsch Juon (1875-1958). During his time travelling in western Europe he was introduced to the flourishing Impressionism, which became a great influence in his early work. At the same time his personal style stayed true to his Russian origins. His art was influenced by a Russian icons and flowing landscape paintings. 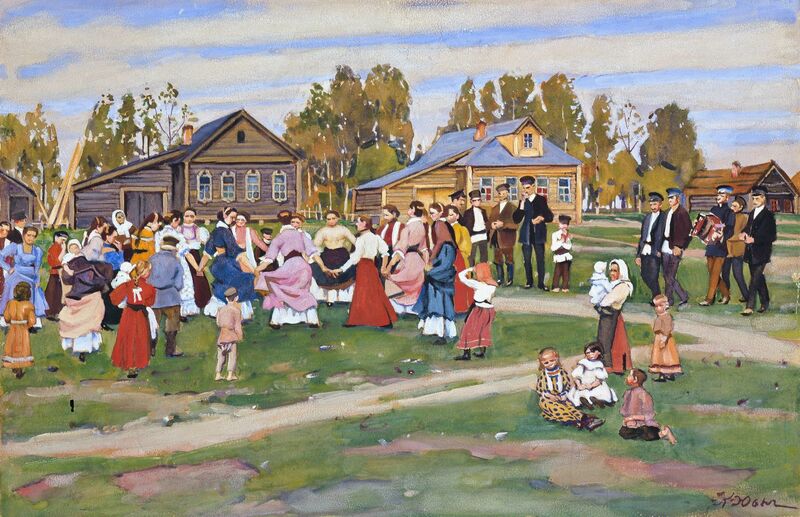 Juon’s later work was tied to social realism, the only artform allowed in the Soviet Union at the time. The work on auction at Lecleres is Joun’s Village Festivities. The artwork is currently part of a collection belonging to the daughter of another important Soviet realist, Isaak Israilewitsch Brodski. 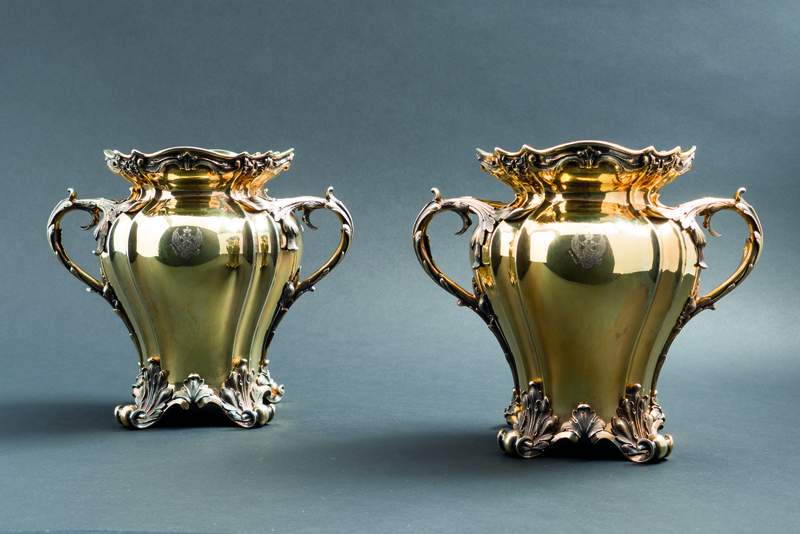 Leclere’s Russian themed auction takes place April 18th in Drouot, Paris. You’re welcome to visit the collection already on April 17th. If you can’t wait that long, you can always find the auction at Barnebys.